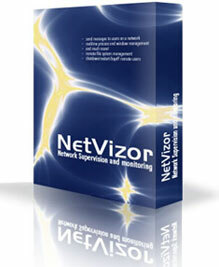 The Client - The Spytech NetVizor Corporate Network Monitoring Software client does the actual "work". The client is installed on each PC on your network and from there it records all relevant PC user activities, performs content filtering duties, and remote administration handling. The Viewer - The Spytech NetVizor viewer is the tool that helps tie all the Spytech NetVizor monitoring clients together. The viewer enumerates all workstations on your network being monitored by Spytech NetVizor - as well as roving users being tracked. All you have to do is select a user or workstation and click the "View User Activity" button to view the user's activities on your network! Spytech NetVizor can be configured to store logs on a centralized server or computer on a network. This ability is beneficial in that logs are all stored on one PC for easy backup and retrieval. No logs are stored on workstations locally for users to discover, or stumble upon. While centralized log storage uses minimal bandwidth on the network to store logs, log storage is much more organized and secure. No logs are saved or copied on the local workstation being monitored.